It is generally agreed that the Marsh Tacky horse is from Spanish stock that arrived in South Carolina when Spanish explorers brought in Spanish settlers in the 1500s. The Spanish colonies failed, but the Marsh Tacky lived on. Modern-day DNA testing has documented them to the ancient Colonial Spanish strain of horses. Tackies were largely concentrated in the southern lowcountry region of South Carolina and on its coastal islands. 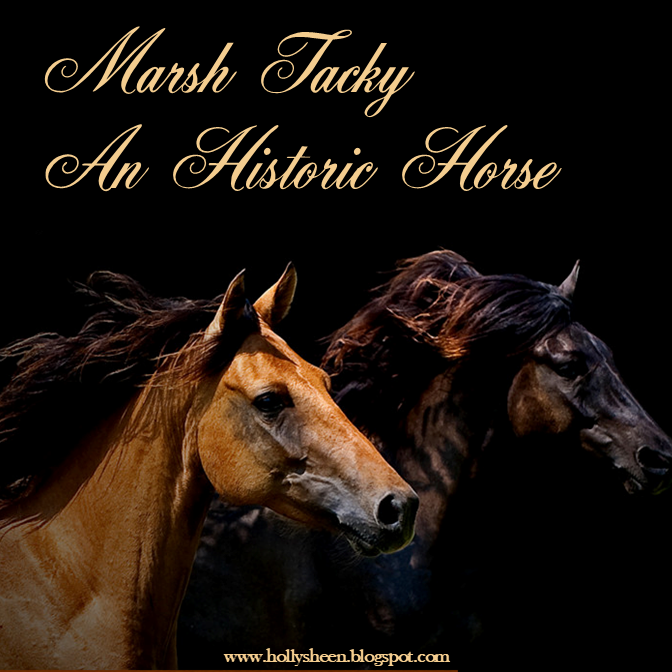 Due to the automobile and mechanization generally eliminating the need for horses, the Marsh Tacky seemed to disappear and was thought to have died out. However, there were those who all along were preserving the breed. Because the horses were rather isolated in the lowland regions of South Carolina, the breed stayed consistent through the years. Under this same oak took place an interview which was the historical finale of views taken by the owner of a toy which had for many years been a treasure to Mrs. Elmore, the lady of the mansion, and an appanage well known in Columbia [South Carolina]. Colonel Elmore, in a late year of his life, had superintended the building of a light vehicle, to suit a pair of tiny marsh tackeys; and this personal equipage of his widow was ever regarded with a species of reverence by the daughters of the household; the great family compliment was conferred when one of them was invited to a seat in the phaeton with their mother. 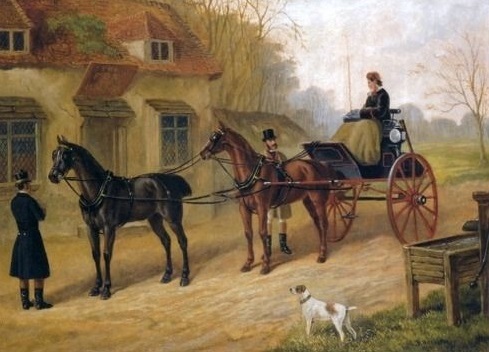 Many tackeys had dragged that carriage, and the last pair of the series made their exit some weeks before the 17th of February, 1865, being retired, for safe keeping, to the plantation in York District. Marsh Tackies played an important role earlier in South Carolina’s history as well. During the American Revolution against the British, many of General Francis Marion’s troops used these sturdy, sure-footed horses in their campaigns against the British since the breed was common to the area at that time. General Marion, known as the Swampfox, was a great tactician and he and his troops are thought to have had a technical advantage over the British in using Marsh Tackies for their mounts. The compact Marsh Tacky was well adapted to the was swampy terrain of the South Carolina lowlands, unlike the British horses. 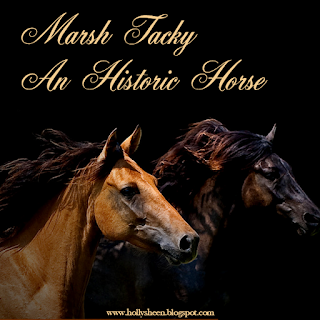 After the War Between the States, the Marsh Tacky endured as a dependable horse in the coastal island communities. They were used for farming as well as transportation. 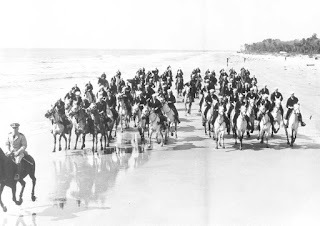 And even as late as World War II, Tackies were used in patrolling the beaches of South Carolina in protection of our shores from Nazi U-boats or other potential enemy landings. Today there are dedicated associations whose aim is to preserve this enduring historic breed. After 400 years of South Carolina history, they are now officially designated as the State Heritage Horse of South Carolina.